Primiri is RhinoCorps’ first person training tool that can be used for guard training, providing education/familiarization tours, optimal route assessments, and used to support red team attack scenario generation. 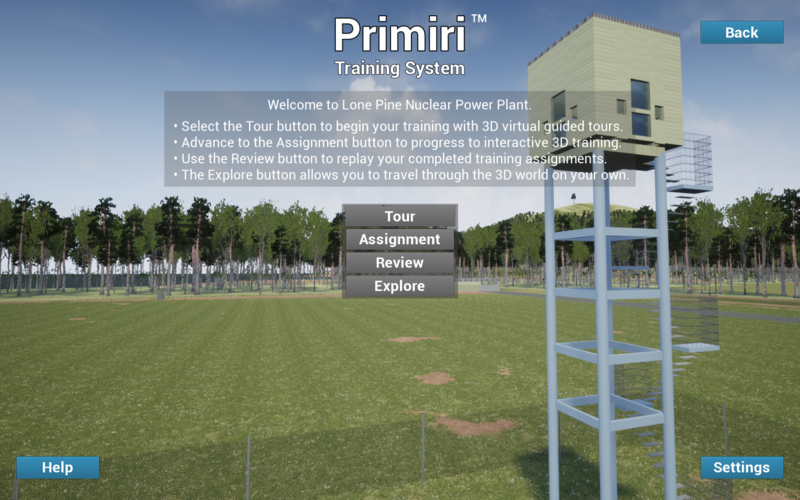 Primiri allows users to receive automated tours set up by an instructor and allows students/users to step through a series of assignments using a virtual model of the site. 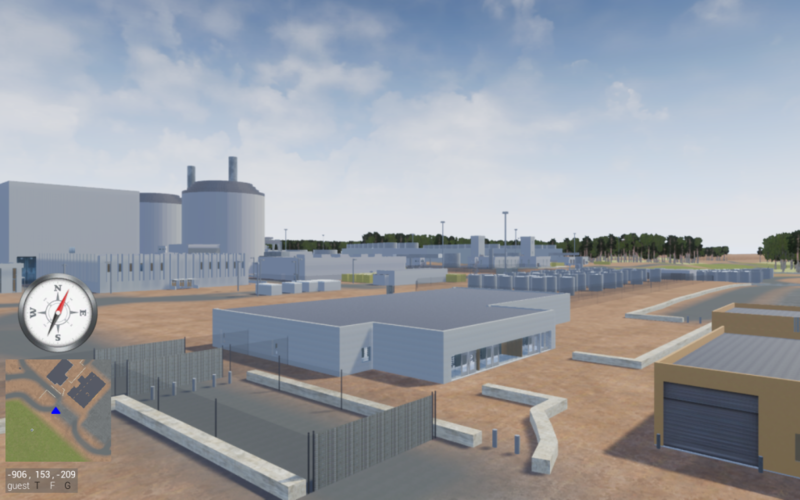 Primiri leverages the same facility model used for the Simajin/Vanguard and Tabletop applications; this commonality also provides the users the additional accreditation of the model(s) accuracy since anyone that can use a game controller can effectively walk down the facility and check their particular area of expertise. However, Primiri can either be licensed separately or part of a Simajin/Vanguard bundle. Also, the use of a game-engine allows users to deploy this model on mobile devices. This tool is ideal for new officer/personnel training and anyone entering new positions at the site as it allows for self-paced preparation. Trainees can navigate the model to gain proficiency in the optimal paths between critical elements and have the instructor re-play the path for assessment. The images shown include a stock texture; however end users can request and add as much detail as desired all the way up to photo realism. Primiri instructors also have access to play-backs and reports concerning assignments and tours taken by students. It is also applicable for attack scenario generation and review as well as for defensive analysis and pre-exercise briefings. Users can switch between ground and flight modes as well as normal and ghost modes. 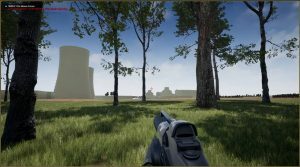 Ghost mode allows users to explicitly pass through a wall, gate, or fence (to simulate a breaching point) while in normal mode motion is limited by obstacles in the model. 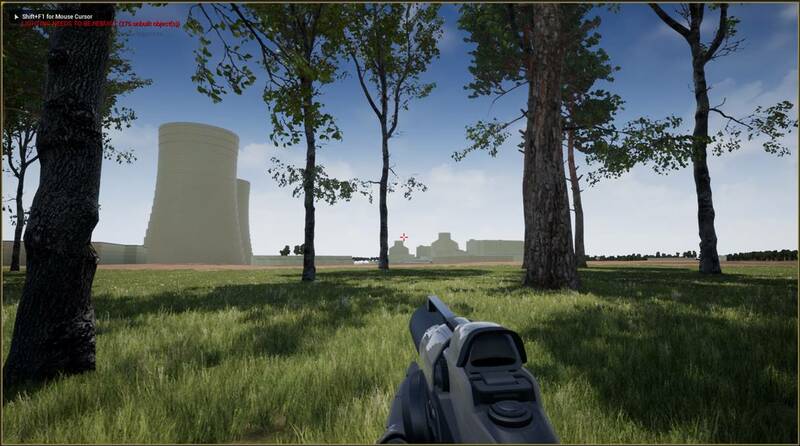 The tool is also ideal for reviewing fields of view from current defensive fighting positions as well as pre-viewing fields of fire for upgrade options. Just as important, the models used to generate the Primiri environment are the same models used in your Simajin/Vanguard assessments; one model to build, one model to maintain.